I didn't know what cradle cap was or what it looked like. It was only when my mum pointed it out to me that i found out. Cohen had a small amount of flaky skin on his head. I had tried to remove it but it wouldn't go. Its very common for babies to get it. It can be very minor like Cohen had or it can be very server. What I didn't know was that it was very easy to treat. 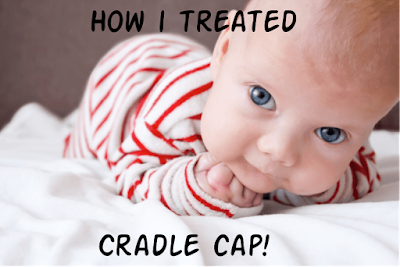 While you can go and buy cradle cap treatment over the counter but that can be really expensive. 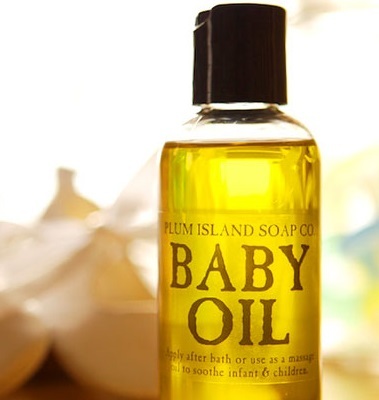 All you need is baby oil!!! Thats right baby oil! All you have to do is massage it in to the scalp and leave over night! This may mean bathing your baby in the morning, but after a few days it will begin to loosen the dry skin. After a couple of days, if you take a baby hair brush and brush against the hair it should remove any skin. This may take sometime but it will eventually get rid of it. Do also be aware that cradle cap can come back but they will grow out of it.